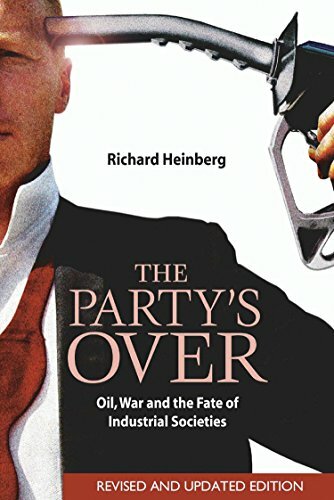 In The Party's Over, Richard Heinberg places this momentous transition in historical context, showing how industrialism arose from the harnessing of fossil fuels, how competition to control access to oil shaped the geopolitics of the 20th century, and how contention for dwindling energy resources in the 21st century will lead to resource wars in the Middle East, Central Asia, and South America. 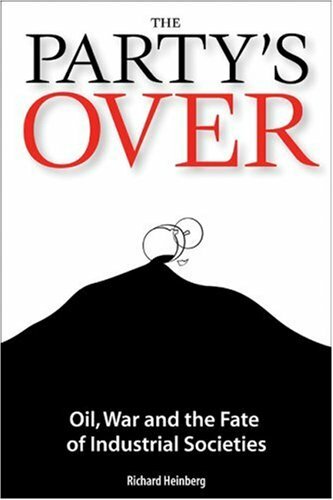 He describes the likely impacts of oil depletion, and all of the energy alternatives. Predicting chaos unless the U.S.-the world's foremost oil consumer-is willing to join with other countries to implement a global program of resource conservation and sharing, he also recommends a "managed collapse" that might make way for a slower-paced, low-energy, sustainable society in the future. 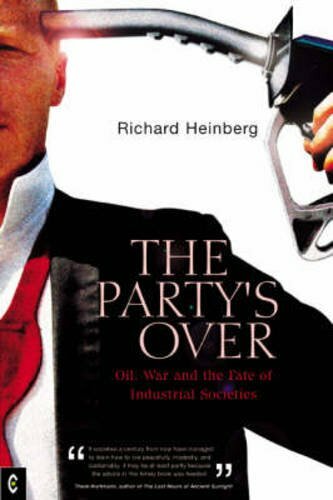 More readable than other accounts of this issue, with fuller discussion of the context, social implications, and recommendations for personal, community, national, and global action, Heinberg's book is a riveting wake-up call for humankind as the oil era winds down, and a critical tool for understanding and influencing current U.S. foreign policy. Richard Heinberg, from Santa Rosa, California, has been writing about energy resources issues and the dynamics of cultural change for many years. A member of the core faculty at New College of California, he is an award-winning author of three previous books. His Museletter was nominated for its "Best Alternative Newsletter" award by Utne Reader in 1993.